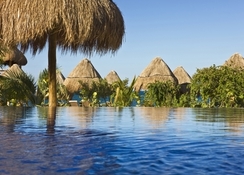 Situated on the beachfront in Playa Mujeres, Mexico, this 5-star hotel looks out onto the Caribbean Sea. Beloved Playa Mujeres is a boutique adults-only hotel perfect for couples and solo travellers seeking a relaxing all inclusive stay in Cancun. There is a variety of luxurious suites to choose from at the hotel, which is popular for weddings and honeymoons, all of which offer gorgeous views and quality amenities to ensure a comfortable stay is had by all. Spa and fitness facilities are available on site, with relaxing treatments to indulge in, while the hotel's three swimming pools, whirlpools, sun terrace, watersports options and sports facilities are sure to keep guests entertained. Outside of the resort, you'll find tourist attractions and activities including tours, golf courses, deep sea fishing excursions, preserved ancient architecture and more. Beloved Playa Mujeres has four fine dining restaurants plus a selection of other eateries and bars, serving fresh food and fruity cocktails. 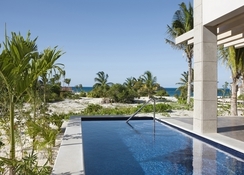 This high-end property is located on a beachfront in Playa Mujeres, close to the resort's main tourist spots and attractions. 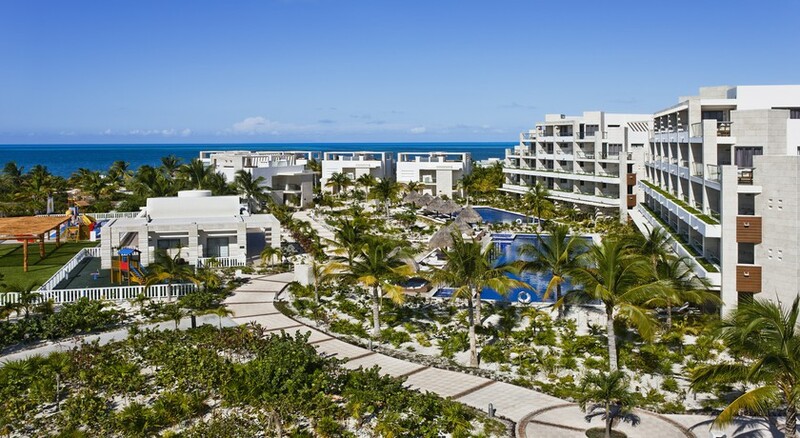 Visit the Playa Mujeres Golf Club just 4km from the resort, make the most of Mexico's watersports – available along the expansive beach – or head into lively Downtown Cancun, just 7km away. The Cancun International Airport is 28km from the hotel. 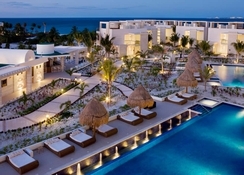 Beloved Playa Mujeres boasts 11 different types of suites. Guests can choose from Junior Suite with Round Jacuzzi, Swim Up Suite with Private Garden, Terrace Suite with Plunge Pool, Junior Suite Ocean View, Casita Suite with Private Pool, Two Story Casita Suite with Plunge Pool, Beachfront Casita Suite with Private Pool, Beachfront Two Story Casita Suite with Plunge Pool, Penthouse Suite with Plunge Pool Ocean View, Ocean View Terrace Suite Suite with Plunge Pool and The Owner’s Suite. Room amenities include fantastic views of the ocean, spa tubs, jetted bathtubs, minibars, free Wi-Fi, satellite TVs and much more. The hotel's gastronomic offerings cater to all guests thanks to its range of International cuisines. Enjoy a fresh breakfast buffet along with fantastic a la carte lunch options. The restaurants at the hotel include Lupita Restaurant, Aroma Restaurant, El Mar Restaurant and Isla Grill. 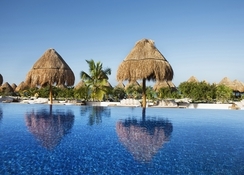 Plus, a variety of bars and lounges, and beach and pool services. 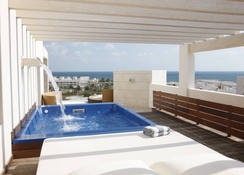 Avail a variety of spa treatments, massages and sauna stops at the Beloved Playa Mujeres Cancun Spa. With facilities like hydrotherapy, fitness centres and relaxations stations, you can fully rejuvenate during your holiday. The hotel also offers tours and excursions in the Yucatan Peninsula with private yachting and deep-sea fishing available to explore. Guests can also get a slice of the rich Mayan history with tours to Mayan architectural ruins.